Yesterday’s invitational dinner in the Library Room of the Dusit Thani Hotel was hosted by tournament sponsor and founder of PYN Fund Management Petri Deryng. On this occasion GM Nigel Short called the Bangkok Chess Club Open the best organised open tournament (for amateur players) that he has ever been to, and GM Jan Gustafsson confirmed that he is only playing two opens this year: Gibraltar and Bangkok! …but maybe that’s a story better to be told on another day. Let us look at Monday’s action in round 6 instead, which saw the matchup between leader IM M.R. Venkatesh against second-placed GM Short on board 1. The British GM showed his class and came up on top. On board 2, GM Hou Yifan came back from a technically lost position to defeat FM Martin Voigt, and last year’s champion GM Jan Gustafsson recovered from an upset in the previous round with a win against WGM Kruttika Nadig. 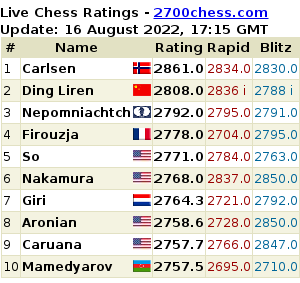 After round 6 GM Short is leading with 5½ points, followed by GM Hou Yifan, GM Amonatov, GM Ghane, IM Venkatesh, IM Nguyen Van Huy, IM Mohota, IM Nguyen Duc Hoa, and Wan Yunguo with 5 points. The top game of round 7 will see GM Short vs. GM Hou Yifan. In the Challenger category things are well under way too. After four rounds of play, only three players remain with a perfect score: Malakar Man Prachanda, Arnulfo Gavilan Jr. and Marvin Ting.